This same kind of noise was first recorded in Kiev, Ukraine, in August of last year. Immediately, conspiracy theorists have jumped all over this to raise the point that it may very well be the work of HAARP, an ionospheric research program funded by the US military that deals with sound waves capable of creating earthquakes. Others say that it is the work of the outer-space invaders from “War of the Worlds”, not including Tom Cruise. I would have normally thought nothing of this, but something happened to me today that has compelled me to look deeper. As I was walking home from work today, a thought popped into my mind. I thought it would be cool if a story for a book revolved around a small town somewhere that suddenly began hearing music and sounds playing out of thin air with no explanation. As a writer, I come up with ideas for stories like this all the time, but I was more than shocked to come home and hear my father later tell me about this phenomenon actually happening around the world. So, I put on my Sherlock hat to investigate a little further and found a couple extremely interesting points. The first point I want to bring up is a popular term people are using for this phenomenon, “groaning earth”. Flipping to Romans 8:22, we read, “We know that the whole creation has been groaning as in the pains of childbirth right up to the present time.” I find this fascinating, because it not only mentions the word “groaning”, but “the pains of childbirth”, a term scattered throughout Bible prophecy, such as Matthew 24:8, 1 Thessalonians 5:3, and Revelation 12:2, referring to the specific signs Jesus commanded us to watch for in his soon return. So, if we put two and two together, can we look at these “groanings” as signs, like a woman travailing to give birth? There are currently no official explanations for this worldwide wonder. It has only started happening since last summer and has never been historically recorded. I also want to raise the question, what else started happening since around the end of summer last year? Isn’t that when comet Elenin came along, as well as the sign in Virgo on the Jewish Holy Days, and all the other many miracles that I’ve been writing about? I’d challenge anyone to tray and dice up the odds of the timing of all this being just a coincidence. The third point I’d like to note is how 1 Thessalonians 4:16 says that, “the Lord himself will come down from heaven, with a loud command, with the voice of the archangel and with the trumpet call of God, and the dead in Christ will rise first.” Here again, we have another reference to the call of God as being like a “trumpet”. As I’ve recently learned, the best way to really understand the Bible in its deepest context is to understand Jewish culture. 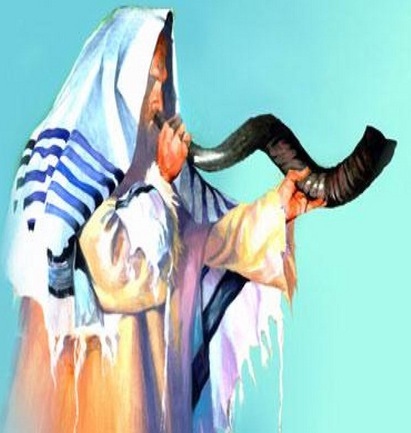 In ancient religious ceremonies, the Jews used to use a ram-horn trumpet called the shofar. So, in the Bible, when it says “trumpet”, this is what its actually referring to, as opposed to the way we commonly think of trumpets as brass instruments. The shofar is now blown ceremonially on Rosh Hashanah and Yom Kippur, but in ancient times, it was used as a warning or a signal of battle. Do you think it’s just a coincidence that we’re hearing these angelic trumpet noises in the sky just as the holy land, Israel, sits on the brink of the greatest war its ever known? The last point I want to make on this is that, if these sounds are in fact divine in nature, then it’s also possible that they might also be Satanically fabricated. Perhaps it’s another push towards the great deception that this world has clearly been prepared for through film and popular media concerning the existence of aliens. There will be many conflicting opinions over this, but we mustn’t forget what the Bible has to say. What we have to always keep in mind is that the Bible is not simply a book, but a divine object that has been placed on this earth to reveal all truth to mankind and lead us to salvation, a prophetic instrument that narrates all of human history, past, present and future. It looks to me like these blaring noises, seemingly coming from nowhere, are quite possibly warnings from above.